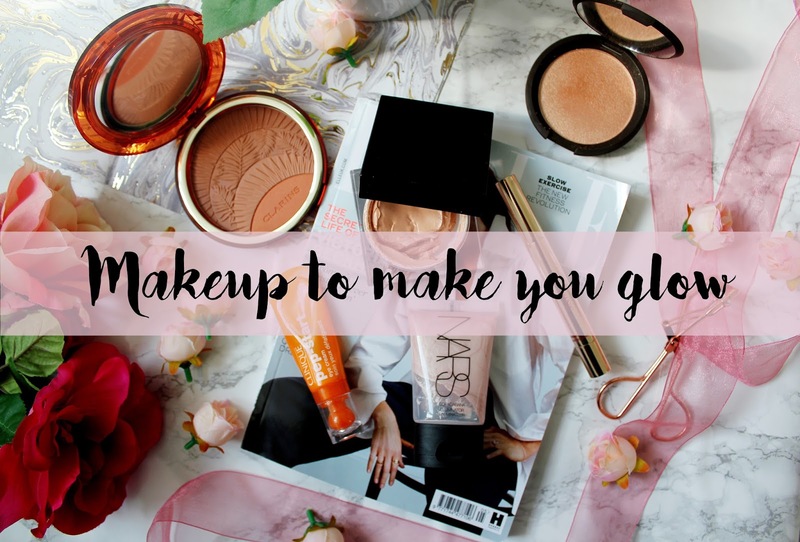 Achieving the ‘glowy’ make up look is one of the biggest makeup trends around right now. 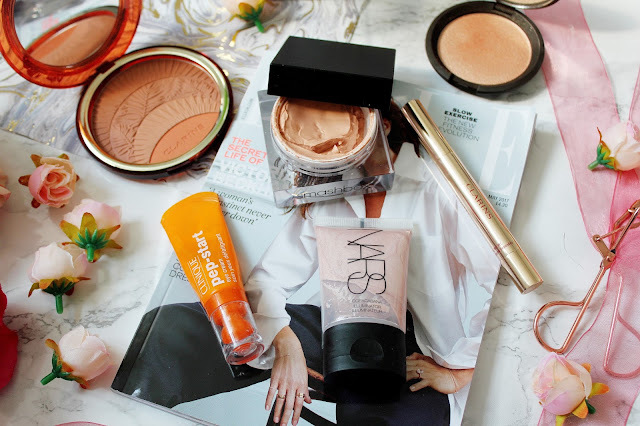 It’s a trend which I’ve become a little fixated with and for today’s post I thought I’d share with you all my favourite go to products for when I want to go for a more glowy look. These are all products I absolutely love using and ones I reach for on a daily basis in my make up routine including a couple of highlighter favourites! NARS is a brand I would love to try out more products from as what I’ve tried from NARS I really love. 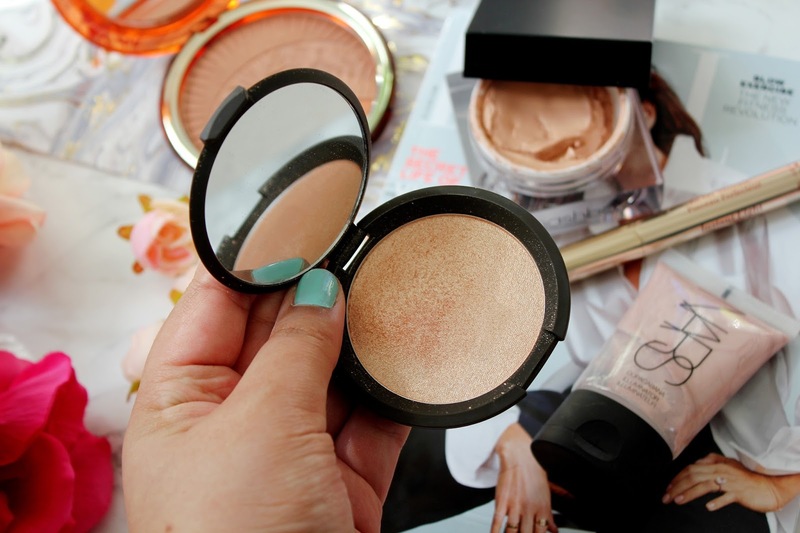 This illuminator works like a dream! You can use this as a base, you can use this as a highlighter or you can mix it in with your foundation for the perfect dewy/glowy base. I think this is a colour, which suits all skin tones, and what’s great about this illuminator is a little goes a really long way. I love blending this in with my Real Techniques Complexion Sponge as well. This is the highlighter of all highlighters. If you’re looking for a highlighter to invest in, then this should be your go to. I absolutely love using this on my cheekbones and brow bones and I go for a light hand when I’m applying this during the day and when I’m going out at night I’ll be layering this on till you can see my glowing face from space! 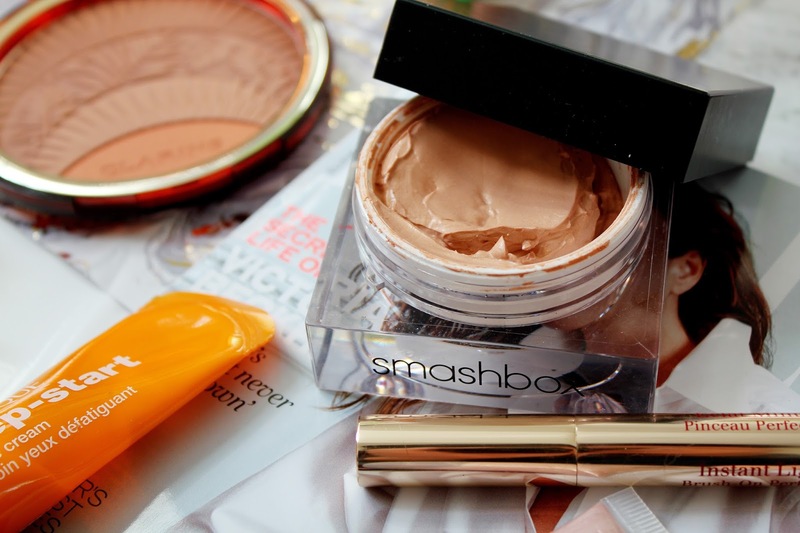 Smashbox is one of my favourite brands and this primer is an absolute dream. On a daily basis I use the primer water but when I have a bit more time to do my makeup I use this primer every single time. The formula of the primer is satin smooth and it leaves your skin feeling radiant and it’s really hydrating as well. Whenever I use this I feel like my base stays on a lot better and my skin look a lot glowier. If I want to go for a more natural look, I like to mix this in with my foundation and this works a treat too! 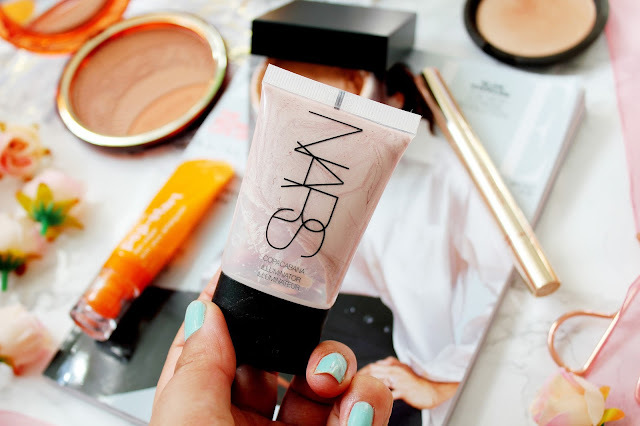 I also wrote a full blog post on the love I have for this primer here. 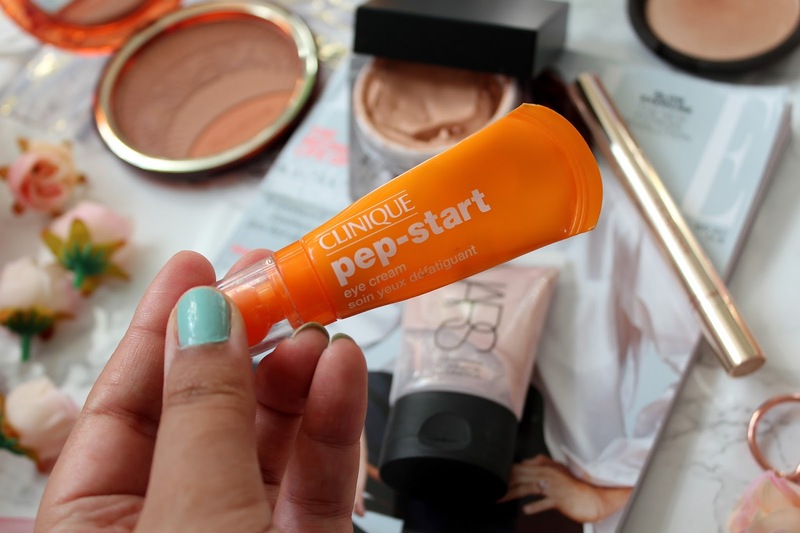 I think this eye cream from Clinique is really underrated. It helps keep my dark circles a little more at bay and my eyes look more awake and hydrated after using this. 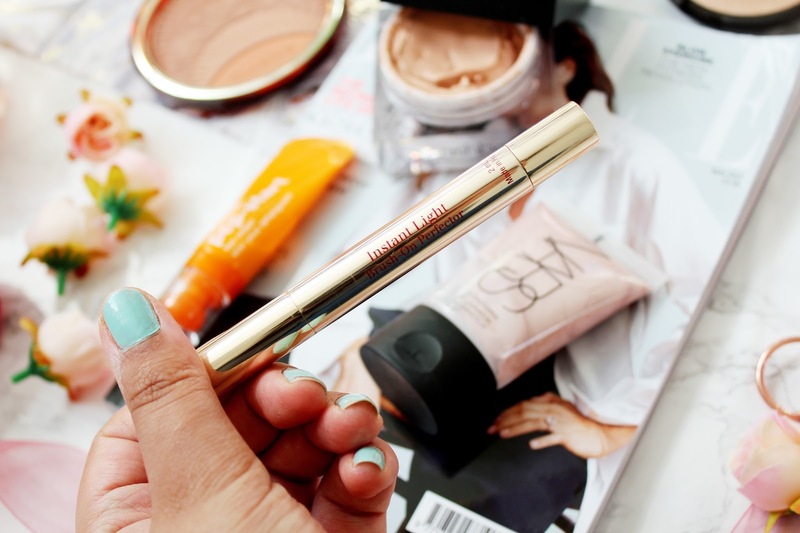 I use this morning and night and I think this is the secret to having glowing under eyes! This is another product I absolutely adore from Clarins and I’ve actually (very sadly) just finished this concealer! I love this brush on concealer and using it on my under eyes. It’s super hydrating, more my skin look my glowy, doesn’t crease and stays on all day with a little bit of translucent powder. This concealer helps to hide my dark circles more than any other concealer I’ve tried and I’ll be repurchasing this ASAP. 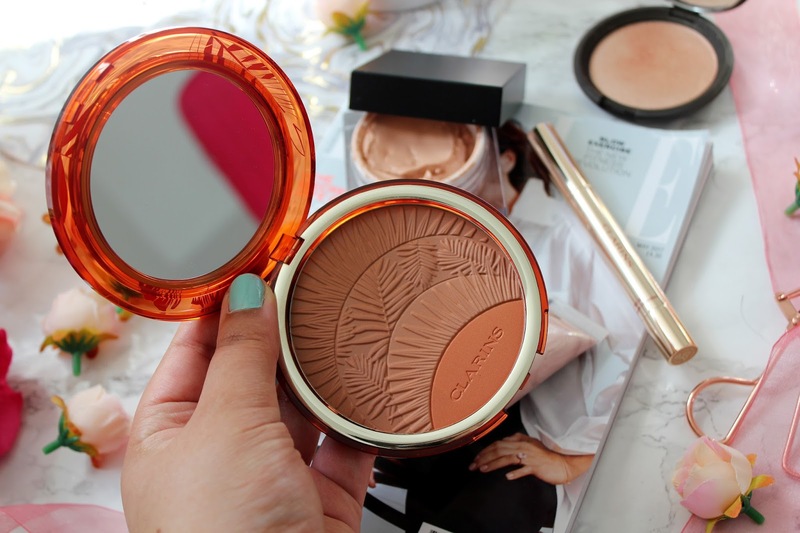 Lastly, I’d like to mention my go-to bronzer at the moment from Clarins. I am obsessed with this (as you can tell from previous blog posts) and for good reason, just look how gorgeous it is! This bronzer compliments Becca Champagne Pop really well and it finishes off the glowy look I am aiming for. Have you tried any of these products? 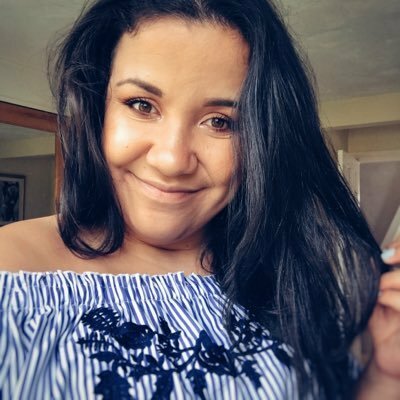 What products do you like to use for a glowy look? These are so gorgeous ! These are looking gorgeous !